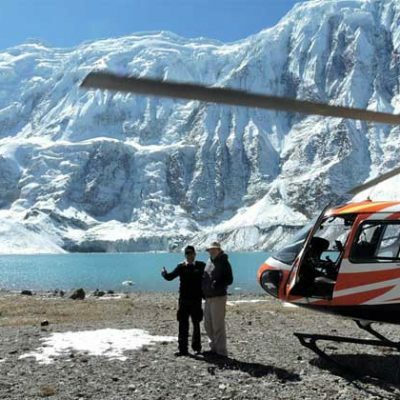 Langtang and Gosaikunda Lake Helicopter tour is the shortest helicopter touring destination from the Kathmandu valley. This tour takes you to the holy lake of Gosaikunda in less than 20 minutes from Kathmandu. The Heli journey in the Langtang region is a marvelous experience. The highlights of this Langtang Gosaikunda Heli tour are the Laurebina La pass, 4610 m, beautiful Langtang Village, and Kyanjin Gompa. During the Langtang Helicopter tour, we will make a visit to the famous Kyanjin Gompa, and Cheese factory, and Gosaikunda Lake. In a short time, you can closely observe the great mountain vistas including Langtang Range, Mansiri Range, Tibetan Range, Ganesh Himal, Mt. Manaslu, and many others. You will also see the splendid aerial views of massive glaciers and many turquoise Lakes. Gosaikunda lake is an alpine freshwater lake located at an altitude of 4,380 meters in Rasuwa District of Nepal. The beautiful Gosaikunda lake remains frozen for six months, from October to June. Frozen or not, it is always beautiful and has a lot to offer to the visitors. The Gosaikunda Lake carries a natural as well as religious significance. Hindu devotees believe that Lord Shiva created the lake. They also believe that some of them see him meditating inside the Lake. Every year, thousands of Hindu devotees visit the lake by trekking or via helicopters. 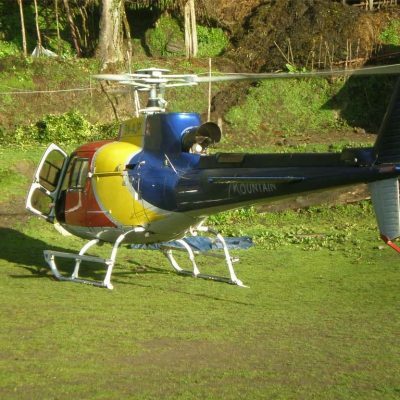 This helicopter tour is 90 minutes (appx.) trip to the holy Gosaikunda lake and the mesmerizing Langtang valley. The airtime is 50 minutes both ways. 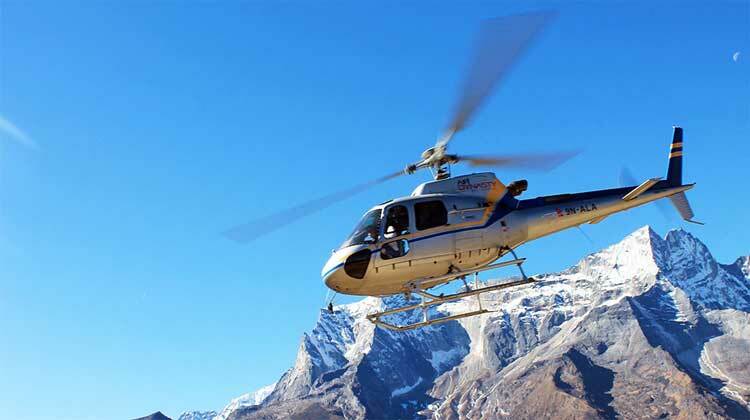 The tour begins when the helicopter takes off from Tribhuvan International Airport towards the Langtang region. In the Langtang region, we will land at Gosaikunda lake and Kyanjin Gompa. After touring around the region, the helicopter flies back to Kathmandu. Adventure Great Himalayas organizes the Langtang and Gosaikunda Lake Heli Tour at a reasonable price. Fly to the beautiful Langtang region with our experienced pilots, guides, and other crews. If you want to go on this tour with us, feel free to contact us. Note:Please ensure names must be exactly the same as your passport (for ticketing/security purposes). You could incur extra costs or even miss your flight if the names are not correct.